The Menopause Café is an opportunity for people to get together to share and discuss their experiences, at the same time increasing their awareness and understanding of the menopause. 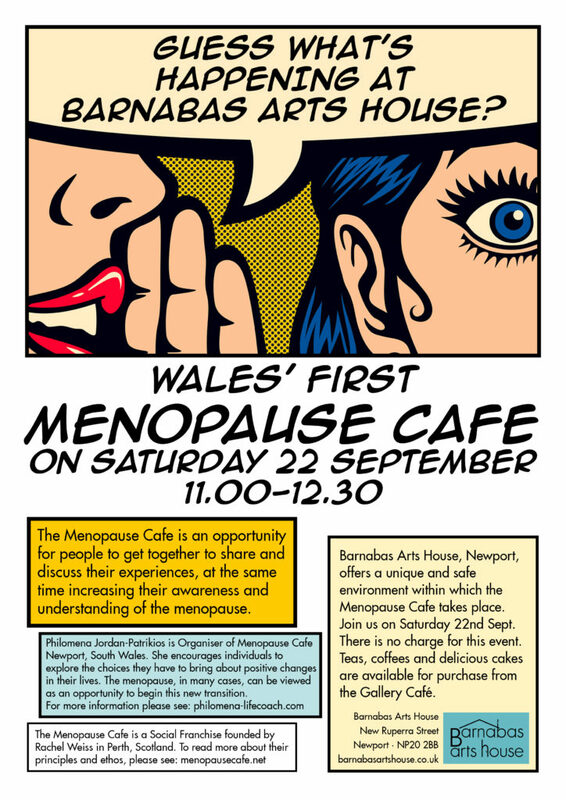 Barnabas Arts House, Newport, offers a unique and safe environment within which the Menopause Café and these discussions can take place. Following on from the success of the first two Menopause Cafe sessions in July & August we are holding the next one on Sat 22 September at 11-12.30pm. Teas, coffees and delicious cakes are available for purchase from the Gallery café.